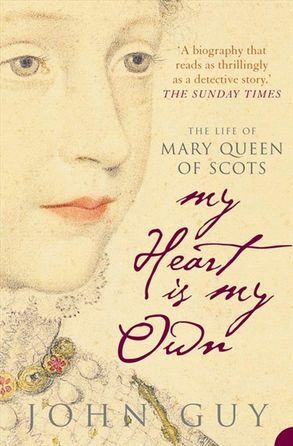 Soon to be a major film, this is a dramatic reinterpretation of the life of Mary, Queen of Scots by one of the leading historians of this period. She was crowned Queen of Scotland at nine months of age, and Queen of France at sixteen years; at eighteen she ascended the throne and began ruling one of the most fractious courts in Europe, riven by religious conflict and personal lust for power. She rode out at the head of an army in both victory and defeat; saw her second husband assassinated, and married his murderer. At twenty-five she entered captivity at the hands of her rival queen, from which only death would release her. The life of Mary Stuart is one of unparalleled drama and conflict. From the labyrinthine plots laid by the Scottish lords to wrest power for themselves, to the efforts made by Elizabeth's ministers to invalidate Mary's legitimate claim to the English throne, John Guy returns to the archives to explode the myths and correct the inaccuracies that surround this most fascinating monarch. The portrait that emerges is not of a political pawn or a manipulative siren, but of a shrewd and charismatic young ruler who relished power and, for a time, managed to hold together a fatally unstable country. John Guy is an award-winning historian, whose books include A Daughter's Love: Thomas and Margaret More, Elizabeth: The Forgotten Years, Thomas Becket, Henry VIII: The Quest for Fame and The Children of Henry VIII. He is also an accomplished broadcaster, who has presented and contributed to numerous documentaries for BBC2 and Channel 4, as well as appearing on BBC Radio's cultural programmes. He writes for a number of publications, including The Sunday Times and The Literary Review, and is a Fellow of Clare College, Cambridge.